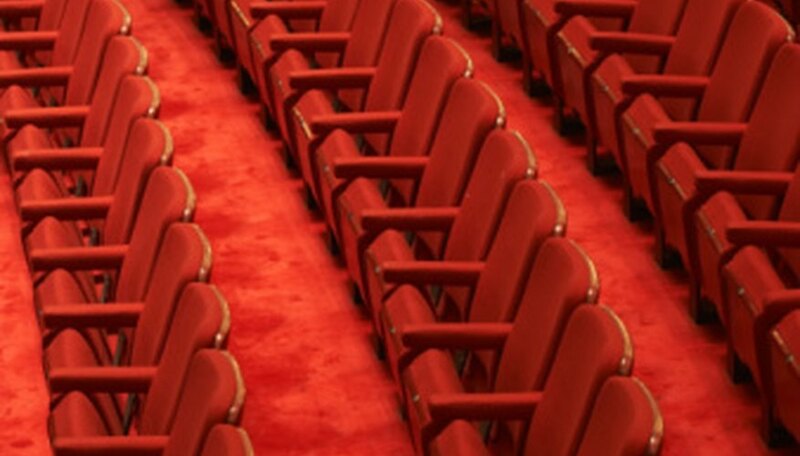 Production seats, also known as house seats, are seats in a theater that are claimed by the production company or the performance venue for VIPs or special guests. They are generally good seats in the orchestra section and offer an excellent view of the show. If these seats are not used, they can be released for sale to the general public. The production company or producers of a show will have a number of seats set aside for themselves. They will often use these seats for celebrity guests or potential investors. This is how celebrities get last-minute access to sold out events. Since these seats are for potential celebrity guests, they are usually some of the best seats in the house. There will usually be a few seats reserved for emergency situations, and these are used by the house staff to smooth over any potential problems. For example, some older theaters have balcony seats that are only accessible by stairs. Should someone with a disability buy one of the seats and then realize they cannot get to it, the house staff can assist by guiding him to one of the emergency seats. Other seating emergencies can include two tickets for the same seat, or people with a fear of heights needing to get out of the balcony. Some producers claim dozens of seats to a performance that don't always get filled. If the production seats are not going to be used, then they may be release for sale to the general public. Check at the box office between an hour and a half hour before the show. Ask if any house seats or production seats have been released. Some theaters even have waiting lines for these tickets. Since production seats are the best in the house, they can often be sold for a premium price when they are released. This means they are sold for well above the standard ticket price for a performance. The hit Broadway musical "The Producers" was the first show to do this, selling the best seats in the theater for $480 for same-day sales, rather than selling them for the face value of $100. Victor Catano has been writing professionally since 1994, having sold articles to "Premiere Magazine," "Nova Scotia" poetry review and others. He is the technical director at Southern Connecticut State University. He is an Equity stage manager, and has an M.A. in theatre and film from SUNY at Buffalo.